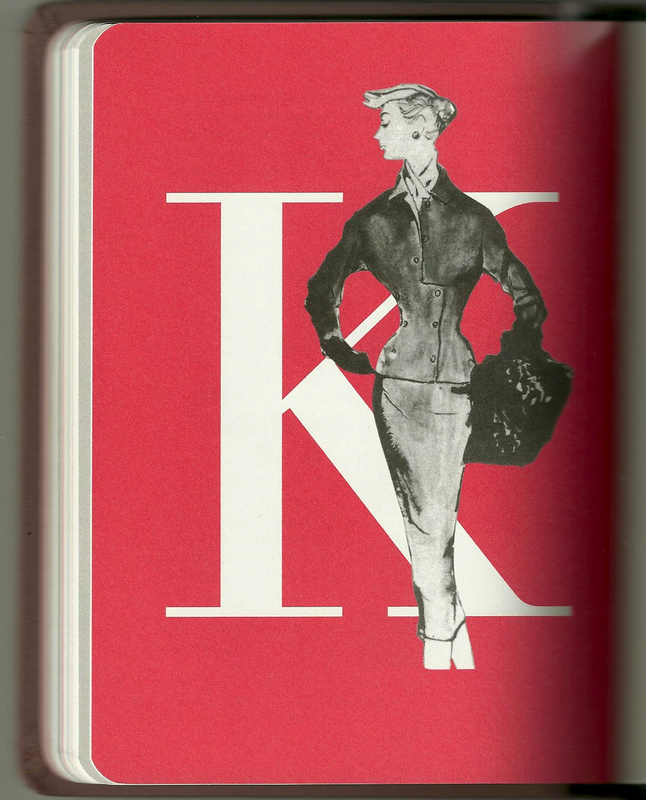 What would Christian Dior do? Without a doubt, the two dresses featured above left in my blog heading were inspired by the designs of Christian Dior. This return to the feminine silhouette was led by Mr. Dior, starting in 1947, and it continues to influence fashion to this day. 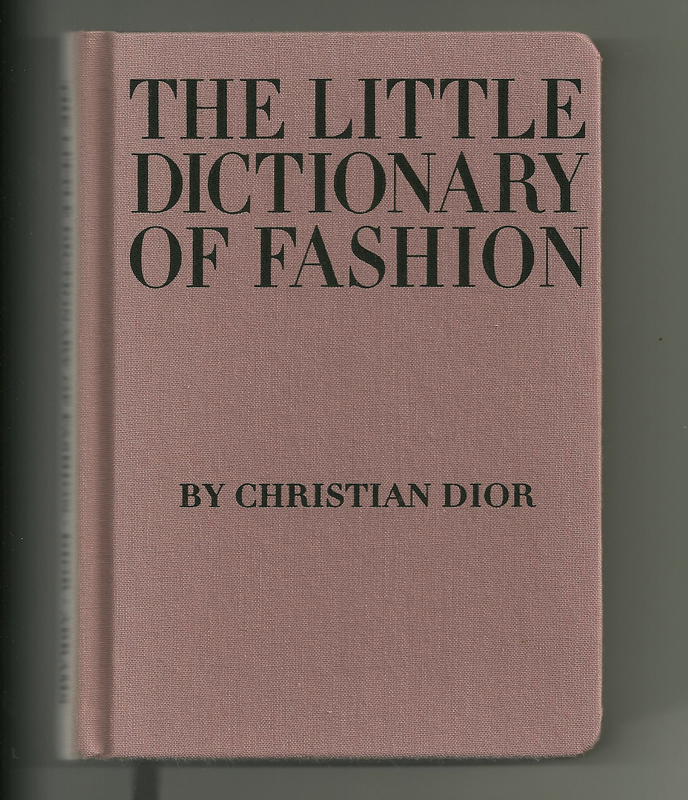 In 1954, he published a small book entitled The Little Dictionary of Fashion, which was reprinted in 2007 by Abrams (and available at Amazon.). Some of the language and expressions in this little book seem a bit old-fashioned, but it contains a wealth of information and advice. This Dior outfit is described this way: "simple black suit, matching gloves and muff, and hat and scarf, in vivid cerise." Dressing beautifully, indeed! 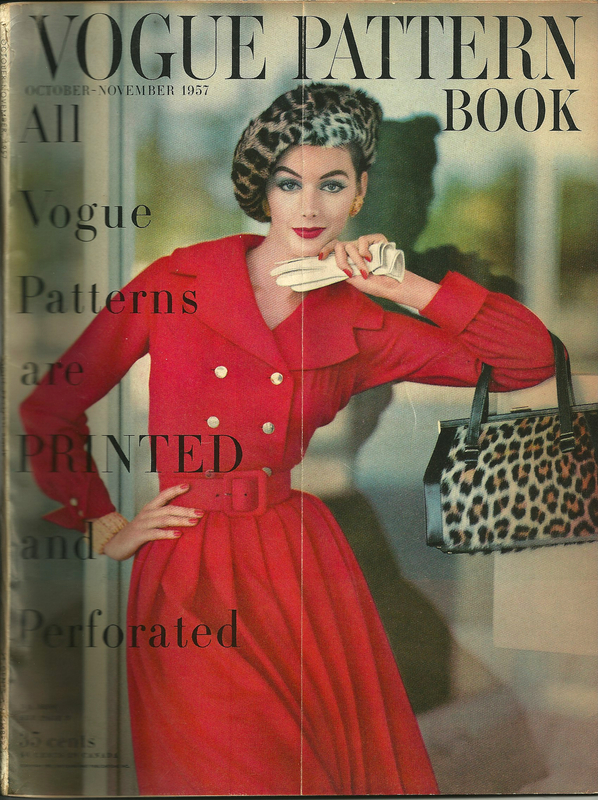 Here is what the cover of Vogue Pattern Book magazine looked like in October, 1957, the month and year of Christian Dior's death. What a fun little book – I need to add it to my wishlist! Have you ever seen the movie Mrs. ‘Arris Goes to Paris with Angela Lansbury? I have not seen the movie, but I have heard of it, as well as the book on which it is based. Both should be added to my “to do for fun” list! Claire, I am so touched and honored by your nomination – thank you so much! Isn’t it interesting how sewing is such a universal language – and the “sewing community” is such a supportive group? We are so fortunate to share this creative interest! It is. I don’t have many sewing friends locally, so I rely on my online sewing community for info, advice and feedback.